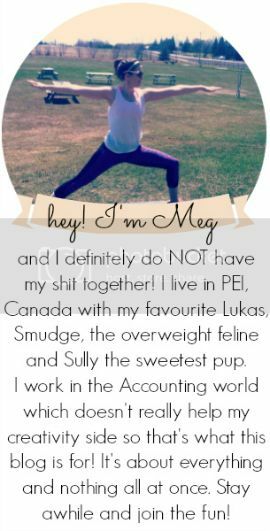 you're meaghan me crazy: goals for 2013! I'm pretty anti-social during the week. I am just so tired! As far as the gym, I love going to classes. It's the best way I know to schedule my gym time and get me there (because I am so tired during the week!) It was kind of scary the first couple of times, but the instructors are always super nice. i force myself to socialize after work too. because sometimes, it's just needed. and i totally should save more!! Those are some great goals. I also like that you didnt label them 'resolutions' cause there's always been something I never liked about that word. I need to work on all of these too. Truth is Im always at work at least 20 minutes late. Awful. Luckily no one's caught on yet. Awesome goals for 2013! You can certainly achieve them all. I have a pretty big financial goal myself for 2013, pay off my student loans! Super thankful for my parents to let me live at home for at least another year so I can not stress about money too much. Great goals! I really hope you achieve all of them! I should do more for my fitness too! Sometimes I am so lazy! My goal is to be happy. :) Haha. Such fantastic goals! I've stopped looking at the number of followers I've got and am starting to meet bloggers and have daily comvos on twitter! Loving that way more! I think financial goals are so important and this year my goals are saving for trips! Best goals ever.